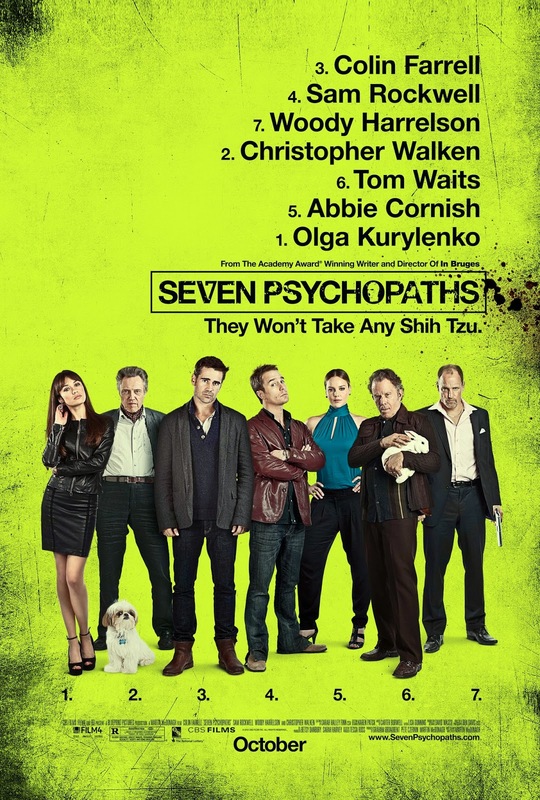 Seven Psychopaths is a film I have seen a while ago and did not get to write a review about it. Actually I was hesitant to write one. Because it's one where the acting is so good that you wonder how come everything else is so bad. Not that this film is unwatchable. But let's say it is one that promises a lot and never delivers. For one thing this film is lacking a compelling plot. The characters are dying to do extraordinary things but for some reason they are never allowed. All they do instead is basically what any typical crime movie offers. While watching you are hoping for something clever to pop up, like one last twist that would put everything we saw in a different perspective. Sadly that does not happen. If anything the last scene will make you angry. There were scenes that might be considered witty or funny. But never is the kind that makes you laugh out loud. Is that something I require? No, but a few of those scenes would have been nice at least. If only to offer some contrast. And with the cast involved so much more could have been done. It boggles the mind. Such a waste of talent and names. Only watch this if you want to enjoy some superb acting by the cast. But keep in mind that no matter how you like the actors this film is going to piss you off or if you are lucky will make you sleep after fifty minutes.